The Cupertino, California based Apple has been subpoenaed by the U.S. Federal Trade Commission in the process of inquiring into whether Google violated antitrust regulations, reports All Things D. The report comes from sources that say the FTC is interested in the deal that Google made with Apple to be the default search engine on the iPhone, and what kind of preferential treatment it gets. According to Bloomberg, the commission is specifically requesting the agreements that made Google the default engine on iOs devices. This battle to be the default provider on Apple’s iOS devices happened before Android was announced by Google, indeed, before it was ever in the form that we know today. You can bet that if Google had a rival mobile operating system at the time, it would have been a much tougher play to get Apple to go that way. Some have postulated that the deal had something to do with Apple’s desire to have Google maps on the iPhone. 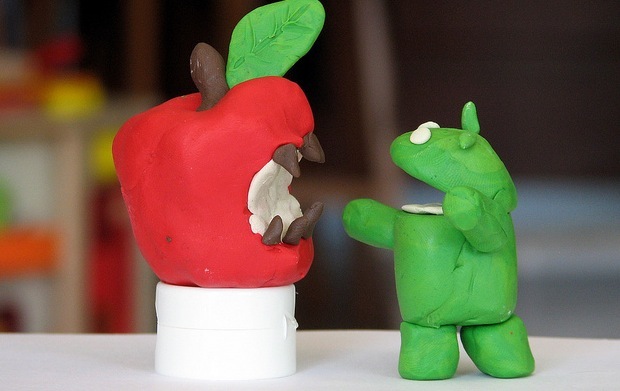 Two sources, one at Google and one at a company that produces Apple-competing mobile devices, have told us previously that Google licenses map data exclusively to Apple outside of its own Android food chain. In addition, Apple only licenses the data, period. It has built its own proprietary system for handling that data and all of the framework you see in action in the Maps app is Apple’s. Only the raw data and satellite images are Google’s. Ever since Google launched its own competing mobile OS, Apple has been working to rid itself of Google influences. Recently, the iPhoto app for iOS displayed that Apple was now running its own server for map images, a huge component of any mapping service of its own that it would like to launch. This should be an interesting development and may result in some changes being made with Apple’s default search engine policies.